“On a good day I can do 30 miles,” says Sarah Tucker, peddling furiously. She’s not going anywhere but here, though — underneath the flyover in Newport Harbour, to be precise. Tucker and her husband Mat take it in turns to operate their Velopresso, a pedal-powered coffee trike. 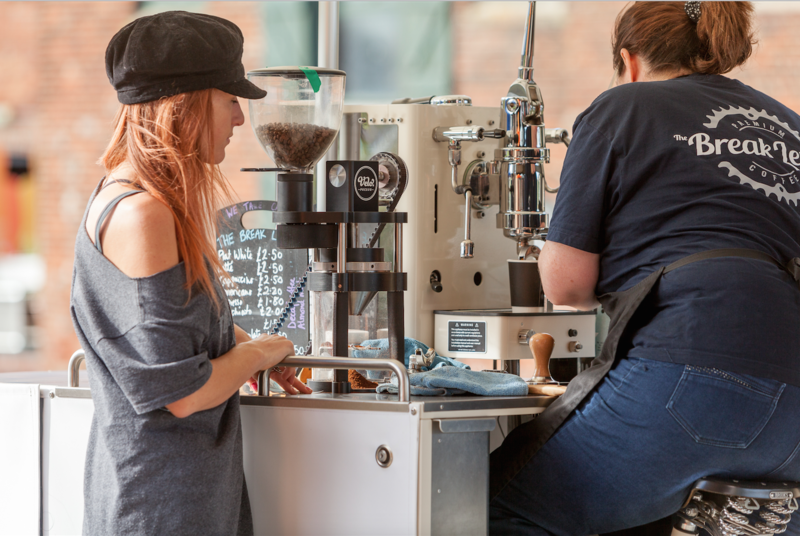 It has a pedal-driven grinder and a gas-fired espresso machine, which makes light work of artisan coffee roaster Island Roasted’s aromatic beans. It’s the ultimate coffee on the go for visitors to Newport — and a first for the Isle of Wight. They are one of up to 10 different vendors at the Isle of Wight’s latest food hub, Newport Street Food Market. It’s part of a growing number of new food and drink businesses that have sprung up on the Island in recent years. In short, Island produce is on a roll. It’s now commonplace to see Isle of Wight tomatoes credited on top restaurant menus around the country. Championed by The Tomato Stall, which put them on the map after selling their wares at London’s prestigious Borough Market, the Island’s tomatoes are bursting with flavour, thanks to the plentiful sunshine and maritime climate. 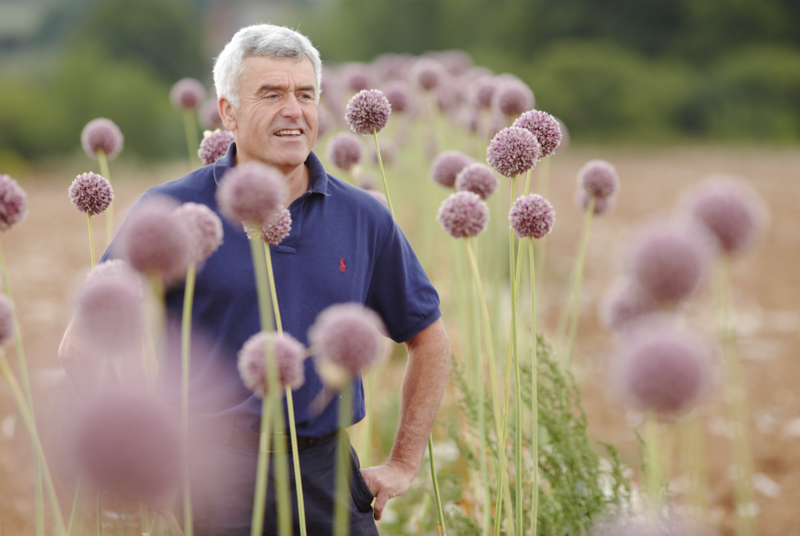 Ben Brown, meanwhile, is flying the flag for Isle of Wight asparagus on his farm in the Arreton Valley. “Asparagus was originally a maritime plant. In fact, it’s still found growing wild in sand dunes up and down Britain. It grows really well on the Island because of our sandy soils, salty air and intense sun,” he says. The Garlic Farm, too, has played the French at their own game with its superior homegrown version — and then some. The Newchurch-based business, which has been growing garlic for more than 50 years, has since developed into a more diverse operation, with a farm shop stocked with an ever-increasing range of own brand goodies from Black Garlic Beer to chutneys and dressings, and a notable restaurant, all making the best use of local products. “The inventiveness and artistry of Island produce is so exciting,” enthuses The Garlic Farm’s Barnaby Edwards. And the Isle of Wight Cheese Company continues to grow from strength to strength. Owner Richard Hodgson only started making cheese just over a decade ago after ditching his job as a television editor. He has since won multiple awards, most notably Best English Cheese at The World Cheese Awards for his Isle of Wight Blue. At the end of last year he bought a dairy farm from the farmer who had been supplying his milk. “The milk is such good quality, it made sense to give it a go,” he says. The Queen Bower Dairy already has 54 Guernsey and Jersey cows, but Hodgson is introducing two new breeds this year, Montbéliarde and Norwegian Red. Plus there’s a new cheese on the shelves, Blue Slipper, which is a softer version of his blue, and he’s about to trial Borthwood Brie on the Island. Hodgson also reveals exciting plans for an on-site café and shop, plus a viewing experience so visitors can watch the cheesemaking process. Hodgson is included in a recently published cookbook that celebrates Island food and drink, called Nammet A Celebration of Isle of Wight Food and Drink (Medina Publishing, £19.99, 2018), produced in aid of the Island’s Earl Mountbatten Hospice. It’s the brainchild of former film producer Caroline Gurney-Champion and tells the story of many Island food and drink producers, as well as sharing their recipes. “I hope that not only will this book be beneficial for the hospice, but also see the Island become a destination for all things foodie,” she says. 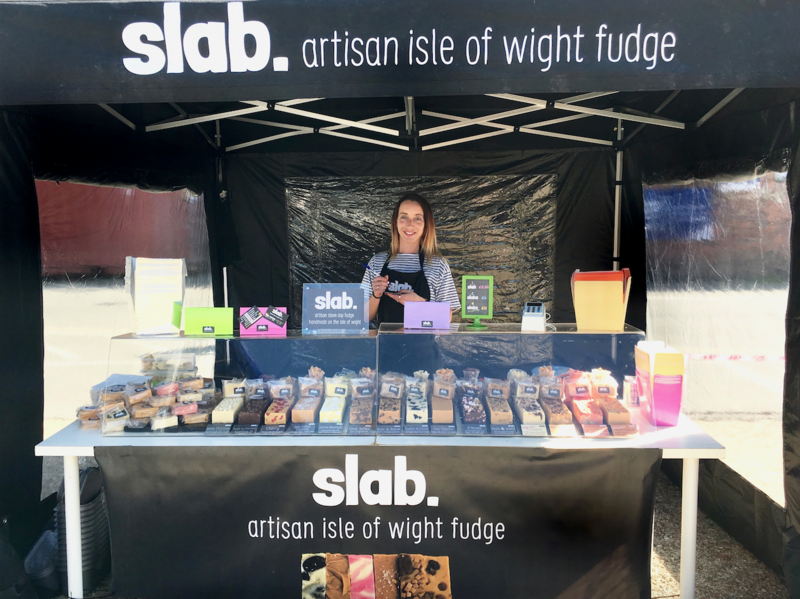 Indeed, there are plenty of newcomers getting in on the act, from the Isle of Wight Distillery and its Wight Mermaids Gin and Amy Lloyd’s addictive Splendid Brittle, to Island chef-coveted cheese and milk from The Green Barn Goat Dairy, and artisan fudge producer, Slab. Rachel Powell and her husband Steve own an ice cream parlour in Cowes called Bliss. But as the business slows up during the winter months, they decided to learn how to make something else that they could sell alongside their ice cream and came up with fudge. “I realised that there wasn’t a well-known fudge brand on the Island,” says Rachel, who spent three months playing with recipes and mastering fudge-making techniques. It now offers a range of 12 flavours, with sea-salted caramel being the most popular. You can buy the Powells’ fudge at the Newport Street Food Market. Founded by Tamara Purves and Sara Truckel — the team behind craft market I Love Wight — the market is a collaboration with the Isle of Wight Council. The aim is to bring more people to this corner of the Island’s capital and to showcase this latest string to the Island’s bow. “We realised that there are a lot of very talented small food producers and a growing number of street-food sellers on the Isle of Wight with not many chances to sell their stuff, so last year we started the I Love Wight street-food markets,” explains Purves, a hobby crafter with a background in sales and marketing. 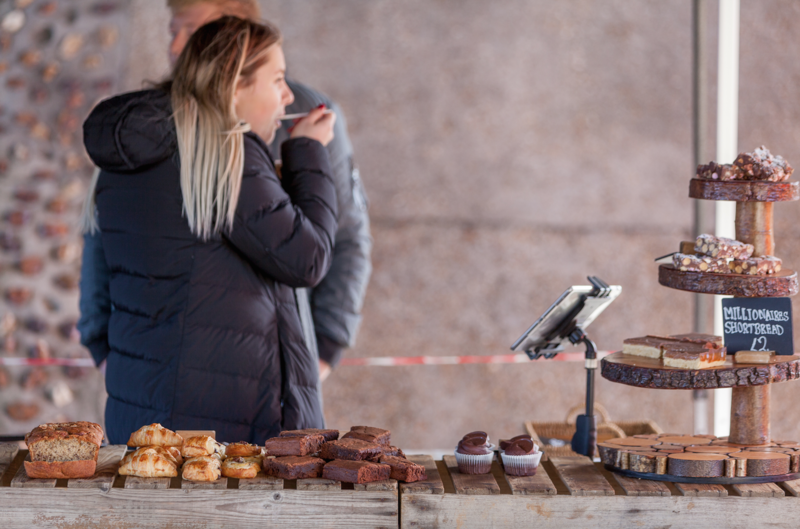 First came the monthly food market in Brading, held on the last Saturday of each month, then a weekly street-food market in Newport, held on Fridays at Newport Harbour (10.30am-4pm). Operators include Dumpling Dumpling, Souporium and VeganBoys, who have proved such a hit with both visitors and locals that the pair are talking about upgrading to a more weather-friendly, box-park-style food court. “It’s about promoting the natural talent that we have on the Island for creating wonderful food from local ingredients. We have our own little economy here and it’s important to support it,” says Purves. Fiona Sims is the author of “The Boat Drinks Book”, which features the Isle of Wight (Bloomsbury, £16.99).